Home Secretary Amber Rudd thanked the police for their “phenomenal” bravery and professionalism after the attack. The police officer stabbed to death in the Westminster terror attack will be remembered permanently at the National Memorial Arboretum, Home Secretary Amber Rudd has said. Unarmed Pc Keith Palmer was guarding Parliament when Khalid Masood stormed the gates and knifed him after driving a car into several pedestrians on Westminster Bridge. The 48-year-old husband and father will be commemorated at the UK Police Memorial at the Arboretum in Staffordshire, which provides “a lasting tribute to the sacrifices that all too many police officers have made”, Ms Rudd said. The Home Secretary said the Charlton Athletic season ticket-holder’s sacrifice has “touched the lives of millions of people in this country and around the world” as she thanked the police for their “phenomenal” bravery and professionalism after the attack. Writing for Police Oracle, she said: “That example is best summed up by the actions of Pc Keith Palmer. “He gave his life, in the line of duty, in order to keep others safe. 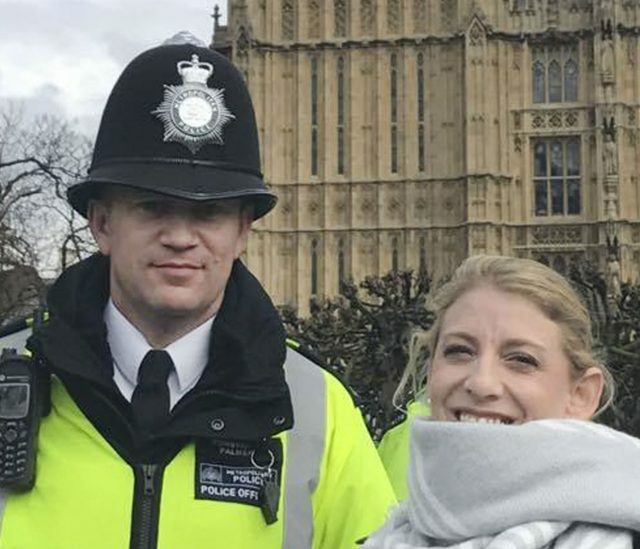 “So much has been said and written in tribute to Pc Palmer – a husband and father who went to work on Wednesday morning and will never go home. “His sacrifice, the tragedy of his death, has touched the lives of millions of people in this country and around the world. “Pc Palmer had devoted his life to public service, first as a soldier in the Royal Artillery and then as a member of the Parliamentary and Diplomatic Protection Command. “It is impossible to fully describe the debt of gratitude we owe to him. I want to express my heartfelt condolences to his family, his colleagues and his friends at this incredibly difficult time. We all mourn for PC Keith Palmer and send the deepest condolences to his family. He died protecting all of us at Westminster. “I know there is a profound sense of loss, but his actions will never be forgotten. Ms Rudd also gave her best wishes to the two officers who remain in hospital after being injured in the attack as she praised the police and emergency services’ “remarkable” response to the atrocity. “I’ve said it many times before – we truly have the best police force in the world and I’m humbled by the work you do every day when you put on that uniform not knowing what you might face,” the Home Secretary said.